If you are short of space in your room and want to build a good mini-ITX gaming PC then you are at the right place. A compact gaming PC can be made very powerful because nowadays you can find powerful SFF graphics cards that can fit in smallest of Mini ITX cases. Mini-ITX cases have also become roomier through better design which allows for better space management and you can fit almost all the gaming components in it including CPU water cooler and graphics card. 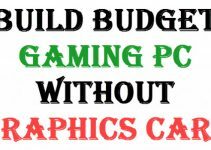 Some gamers don’t have much space to work with so for them I am going build a powerful mini-ITX Gaming PC on which you can play latest games on high settings at 1080p. This small form factor gaming PC is also quite affordable and will cost you under 600 dollars. Here are the best and the latest components that you will require to build a powerful mini-ITX PC for 1080p gaming. You may also call this as small form factor gaming PC or console killer PC. For this Mini ITX Gaming PC, the processor I have chosen is Intel Core i3 7100 which is a 7th generation Intel Kaby Lake processor. 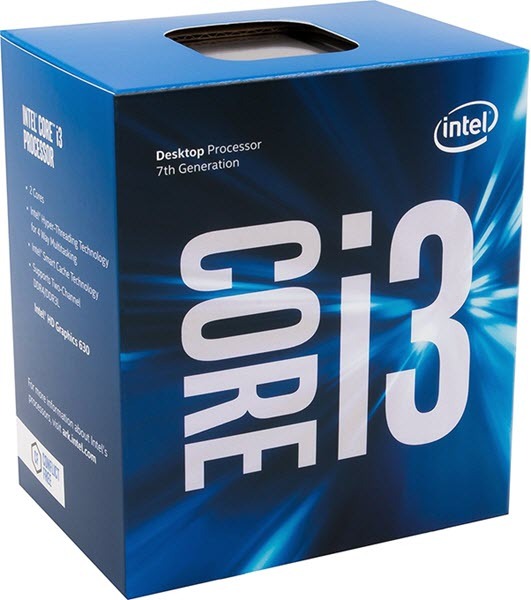 This is the latest and most affordable core i3 series dual core processor and has clock speed of 3.90 GHz and comes with 3MB cache. This is a powerful processor that has got only 2 physical cores but can processor 4 threads at once making its performance just like a quad core processor. This is the same processor that I have used with the 500 dollar gaming PC in this blog. With this processor you can play latest games on high settings at 1080p when you pair it with a good mid-range graphics card. The processor supports Intel Hyper-Threading and Intel Optane Memory. Also the processor has lower power consumption and runs cool even with the stock cooler, but if you want better cooling then you can use good budget CPU cooler. For a Mini ITX gaming PC you will need a mini-ITX motherboard. 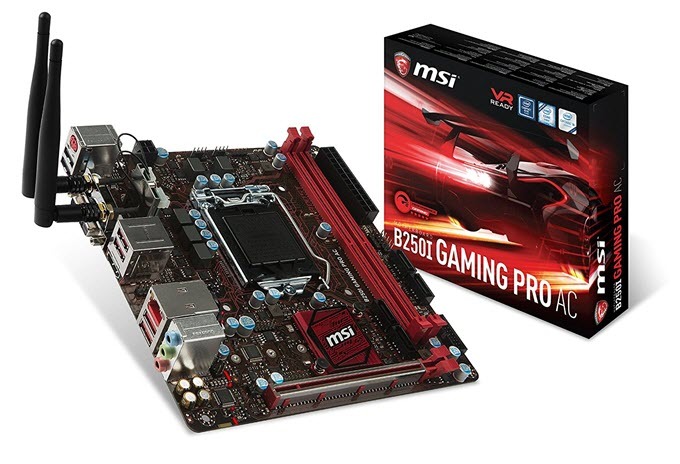 Here I have picked MSI B250I GAMING PRO AC Motherboard which is a Socket LGA 1151 motherboard that supports both Intel Skylake and Kaby Lake processors. This is a mini-ITX gaming motherboard based on the Intel B250 chipset and comes with in-built Wi-Fi and Bluetooth connectivity. The motherboard supports DDR4 RAM and is Intel Optane Memory Ready. For graphics card it has one high speed PCI Express 3.0 x16 slot. This mini-ITX motherboard also comes with M.2 slot and fast USB 3.1 ports. Other features include Audio Boost, Gaming LAN, Click BIOS 5, RGB LED Lighting, DDR4 Boost, VR Ready and Windows 10 Ready. For RAM I have picked Crucial Ballistix Sport LT 8GB Kit (4GBx2) DDR4. This is a high quality gaming RAM and you can run these two 4GB sticks in dual channel mode for better performance in games and other memory intensive applications. This DDR4 gaming memory has maximum speed of 2400 MHz and comes with a heat spreader to remain cool during hours of gameplay. A 1TB hard drive would be more than enough for this mini-ITX gaming PC. Here I have selected WD Blue 1TB hard drive that has got performance and also offers tons of storage space. 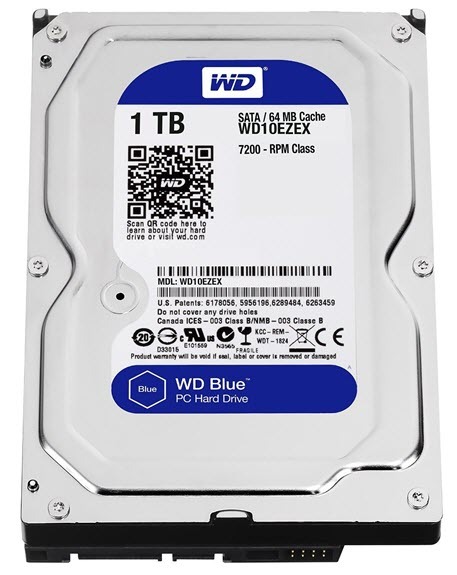 WB Blue is one of the most popular and reliable hard drives in the word. WD Blue 1TB is a 7200 RPM hard drive having SATA 6 Gb/s interface and comes with 64MB cache for faster read and write operations. Also the hard drive is not noisy and stays relatively cooler. It is a regular 3.5-inch drive and can fit in most of the mini itx cases. 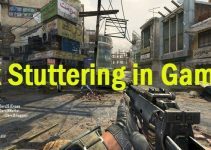 The most important component of this Mini ITX gaming PC is the graphics card because without it you won’t be able to play any of the latest games. The important thing that you should keep in mind here when choosing a graphics card is that the graphics card should be shorter in length so that it can fit in your Mini ITX case. Also it must be powerful enough to play all the latest games on high settings at 1080p. Keeping all these factors in mind I have selected Zotac GeForce GTX 1050 Ti Mini which comes with 4GB GDDR5 memory. This GeForce GTX 1050 Ti small form factor (SFF) graphics card from Zotac is only 112mm long and it can fit in smallest of the cases. The card is based on the latest Pascal GPU architecture from Nvidia and is the one the best mid-range GPU in the market right now. On this card you can play latest games on high settings at 1080p resolution. Also the card has lower power consumption at 75W and does not require external power connector from the PSU. For working it needs only a good 300W power supply. 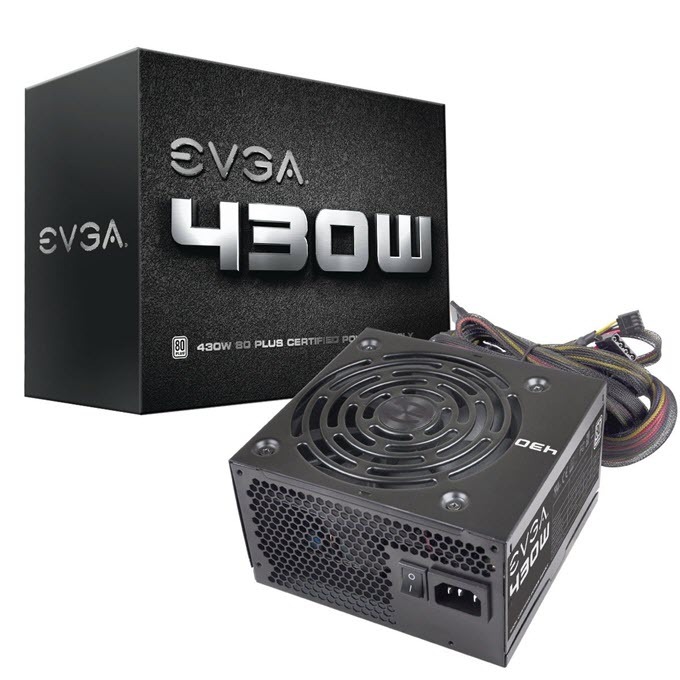 For power supply I have chosen EVGA 430W PSU. It is a 430 Watt power supply that has got 80 Plus White Certification having 80% efficiency or higher. This power supply is sufficient for this Mini ITX Gaming PC. It is a high quality power supply that comes with all the required connectors and has got all sleeved cables. For graphics card it comes with one 8pin (6+2) PCI Express power connector but we won’t need it here as our graphics card draws all its power from the PCI Express x16 slot only. This power supply has single 12V Rail having 34A current on it. There is a 120mm fan which is quite silent and does its jobs well in keeping the PSU components cool. Also the power supply comes with all the protection features including OVP (Over Voltage Protection), UVP (Under Voltage Protection), OCP (Over Current Protection), OPP (Over Power Protection), SCP (Short Circuit Protection), and OTP (Over Temperature Protection). As this is a mini-ITX gaming PC, so you would require a good Mini ITX case that can accommodate all these components. 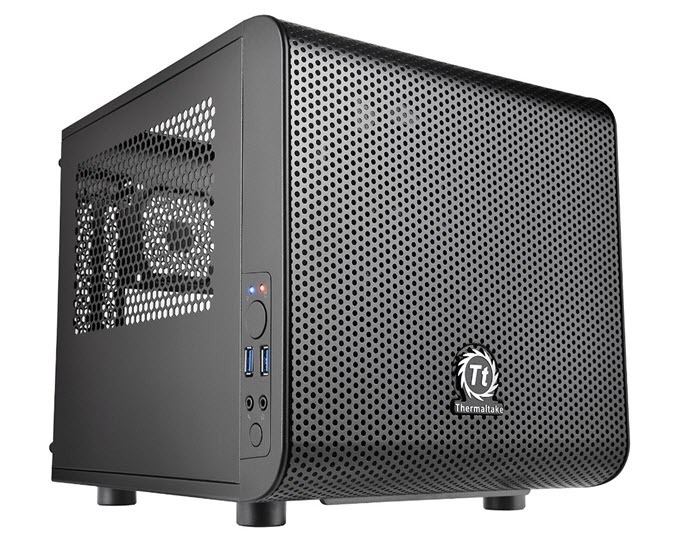 So for mini-ITX case I have chosen Thermaltake Core V1 Mini ITX Cube Case. This is a great looking and high quality mini-ITX case from Thermaltake and it can accommodate all the components of this mini-ITX gaming PC mentioned here. This Mini ITX case has solid build quality and has got good ventilation. It comes with a large 200m fan on the front and space for two 80mm fans on the rear. The side panels of this case come with vents and the top panel is transparent from where you can see all your components inside your case. This compact case can support CPU Cooler with height up to 140mm, Graphics Card up to 260mm in length and up to 180mm long PSU. On the side front panel you can find two USB 3.0 ports and audio ports. You have to use an external DVD writer because most of the mini-ITX cases do not have space for 5.25” drive bay. At the end i would like to say that this is unarguably the best mini-ITX gaming PC that you can build under 600 dollars with all the latest components whether it is processor, motherboard or graphics card. This mini-ITX gaming PC can also serve as a powerful HTPC. 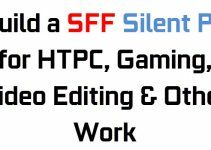 If you have any queries or doubts regarding graphics cards or gaming PC build then you can ask me them by leaving a comment below. I am extremely interested in building this PC as my first gaming pc build, I am just wondering how this graphics card handles games like overwatch? If I was to build this pc and invest a little bit more money, is there a better graphics card that isn’t much more expensive you would recommend? GeForce GTX 1050 Ti is a pretty powerful mid-range graphics card and can handle overwatch or latest games comfortable at high settings @1080p. 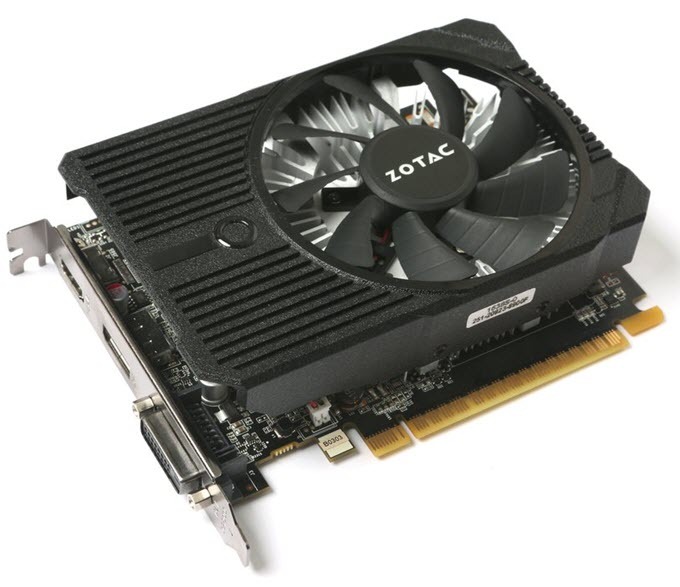 If you want to cut down budget on graphics card then you may go for ZOTAC GeForce GTX 1050 Mini 2GB GDDR5. It is also a very good card and can play all popular titles at 1080p.